Plan showing the relocation of the city centre. The city of Kiruna rests on one of the largest iron bodies in the world. The pure existence of this city – located north of the polar circle – is closely tied to the mining activity. As the mining expands below the city itself and as this threatens both inhabitants and buildings, the city needs to move. In the spring of 2012, an international architectural competition was announced and Tovatt Architects and Planners was selected as one of ten participants. Tovatt Architects & Planners was the design team leader during the competition stage in a recognized consultant team with representatives from all over the European Union. 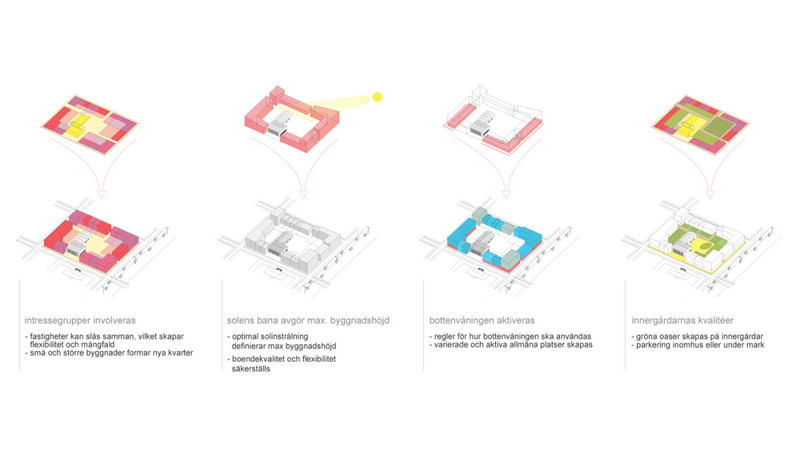 Our proposal illustrated the extraordinary challenges associated with moving a city of 23.000 inhabitants. 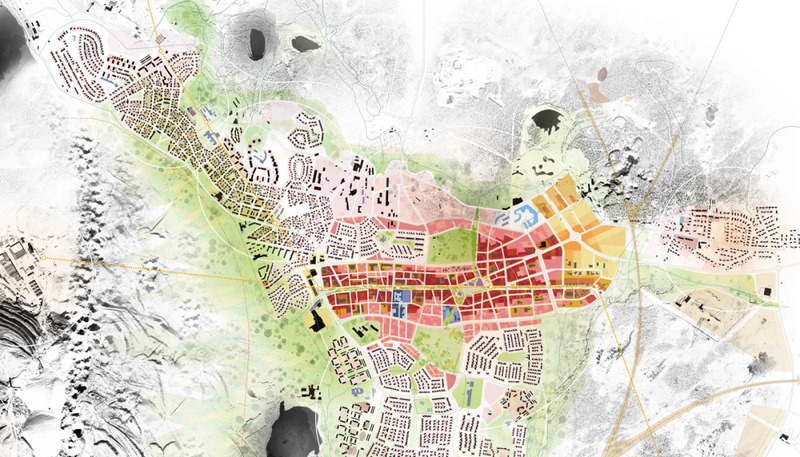 Our urban design, its density and proposed implementation were taken to a high level of detailing, comprising strategies for moving large scale buildings as well as clearly defined social and environmental strategies. 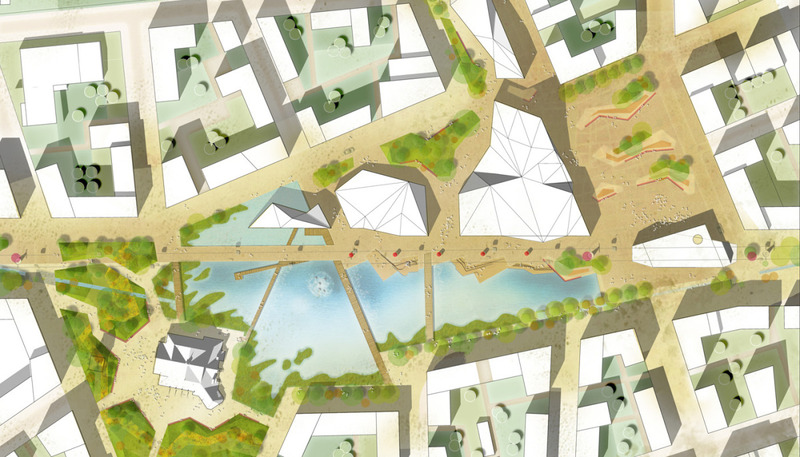 The urban design proposed for Kiruna has its roots and finds precedents in the historic city structure of northern Europe; streets and urban spaces are well defined with a clear hierarchy of connection to open landscape and remaining fragments of preserved parts of the city. 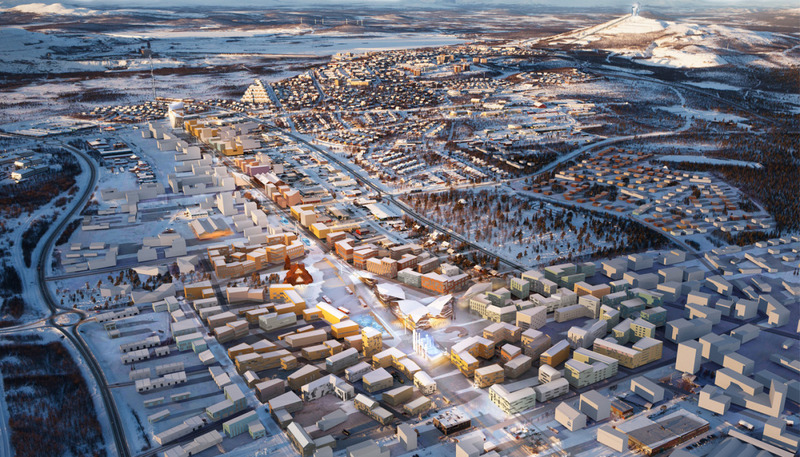 Although we were not lucky enough to win the competition, our proposal won the hearts of the inhabitants of Kiruna and it received high grades for its urban design strategies and visual expression. 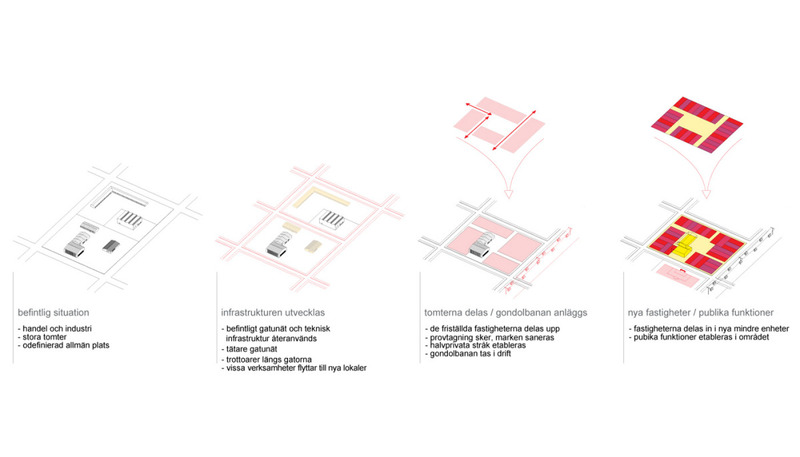 Please contact David Neuschütz if you want to know more about the project or how we work with urban planning. The new city centre and its main public space. Diagram showing the transformation, part 1 of 2. Diagram showing the transformation, part 2 of 2. Areal view of the relocated city centre showing the relationship to the old city centre.